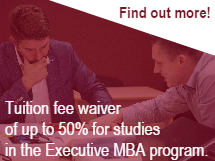 The Professional MBA at Riga Business School is the oldest and most prestigious MasBA program in Latvia and is designed for busy professionals wanting to refine their skills and move up the career ladder. 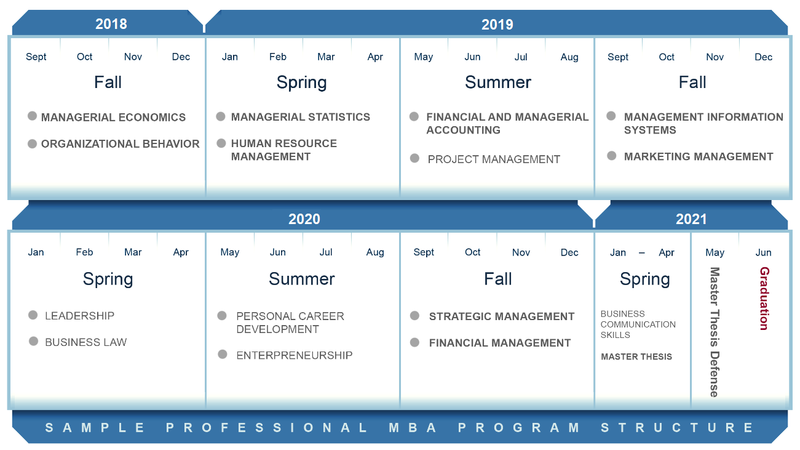 The program provides students with a background in all of the functional areas of business.Core courses are mandatory for all students, and electives allow students to specialize their skills within specific areas of management and to suit their individual interests. Students can obtain a General MBA or choose from three specializations - Marketing, Finance or IT. classes held on workdays 6:00 pm – 9:00 p.m. The Case Method requires active participation and discussion. Cases are also not only about individual learning or decisions, but also rely on the work of groups of co-learners. RBS has an agreement with Harvard Business School and has access to its many complex and insightful case studies. The case itself describes the scenario in the context of the events, people and factors that influence it within real business experiences. 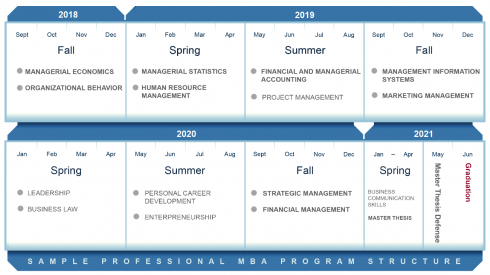 Every course of the Professional MBA program has cases that are discussed throughout the course. Although there is no substitute for experience, many of our students have said that case studies gave them the knowledge, the skills and confidence to deal effectively with a wide range of difficult decisions in their careers. Upon successful program completion, students are awarded an Internationally Accredited Master of Business Administration (MBA) degree from the Riga Business School at Riga Technical University. The Programs compliance with the North American MBA standards is certified by all partner institutions and student diploma is accompanied with a Certificate of Recognition from University of Buffalo (USA) and University of Ottawa (Canada).